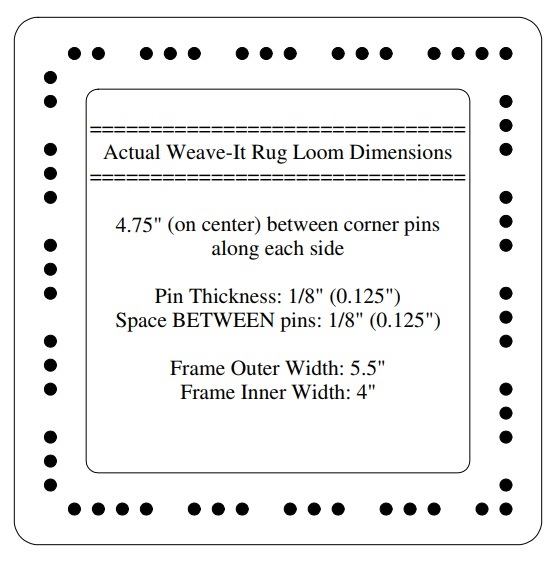 Just discovered your site thanks to your post on Pin Loom Weaving Support Group today. I’m in LOVE!! Thank you so much for all the fine info you are sharing!! You’re very welcome. Let me know if you have questions or ideas for blog posts. Are there any templates out there to make 5X7 weavies? We are making blankets for veterans and that is the size we need. I would recommend making two copies of the 5″ square and then cutting and pasting to make it 7″ on the two long sides. That’s usually how I design my own looms.